One-on-One Yoga Workshop for Moms and Moms-to-be! One-on-One Yoga Workshop for Moms and Moms to be! HomeOne-on-One Yoga Workshop for Moms and Moms to be! Do you have aches and pains – low back, knee, neck, wrist? Did you know these pains are almost always caused by misalignment and you have the power to get yourself out of pain? Do you want some guidance so you feel great and enjoy your journey? 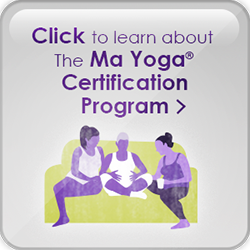 Sign up for a One-on-One Yoga Workshop with your Ma Yoga teacher! Ma Yoga teachers are specially trained in Yoga Therapeutics, which means slowing down and understanding how to do simple poses in a way that relieves pain, creates strength and stability, and supports free movement and breath. You will have a wonderfully transformative 45 minutes with your teacher and leave with a 5-10 minute daily practice to address YOUR particular body: aches and pains, stability and flexibility, de-stressing and grounding. Plus, your teacher will have a much easier time supporting you in class! 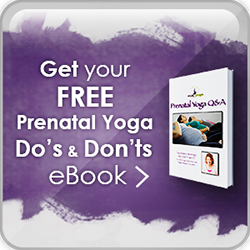 We recommend that every mom-to-be coming to yoga do a One-on-One workshop before labor – and the sooner the better, so it can become part of the way you move, before you’re chasing a toddler around. Every body is different, and no teacher can make the subtle adjustments you can to fine tune every yoga pose just for you! Only $85 for 45 minutes. Email jessica@mayoga.com to set yours up! Busy schedule and prefer Skype? Email jessica@mayoga.com and we’ll make it happen without you having to leave home.